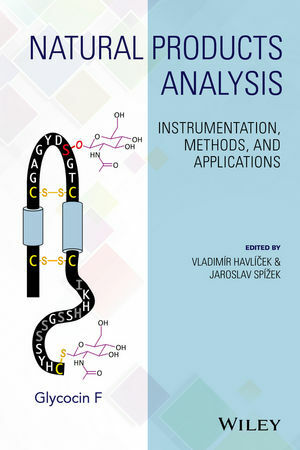 This book highlights analytical chemistry instrumentation and practices applied to the analysis of natural products and their complex mixtures, describing techniques for isolating and characterizing natural products. Vladimir Havlicek is a Professor of Analytical Chemistry in the Institute of Microbiology of the Academy of Sciences of the Czech Republic. His laboratory uses analytical tools to characterize molecular structure. He has worked in the field of natural products for over 20 years. Dr. Havlicek is on the editorial or advisory boards of several leading analytical journals and has published over 130 papers in peer-reviewed journals. Jaroslav Spizek is a Professor of Molecular and Cell Biology and Genetics in the Institute of Microbiology of the Academy of Sciences of the Czech Republic, where he was director between1992-2000. He has worked in the field of antibiotics for 50 years. In 2011, he became an Elected Fellow of the American Academy of Microbiology. Professor Spizek has published 98 peer-reviewed papers and edited two books.